Learn professional techniques, sketch your own ideas, and collect your digital art! 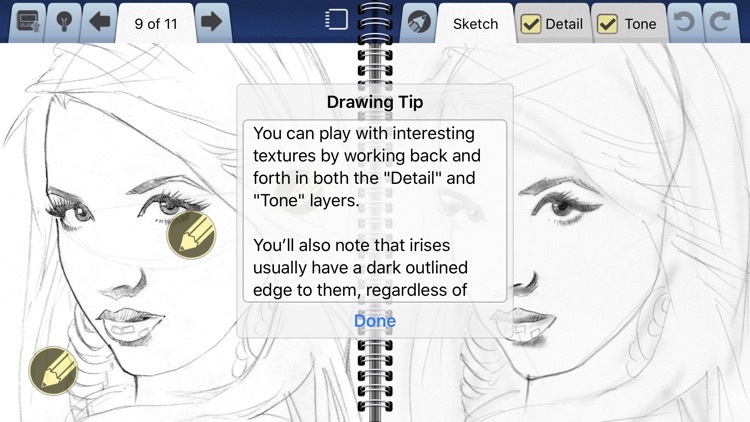 Practice advance techniques by drawing alongside tutorials from Matt Busch. 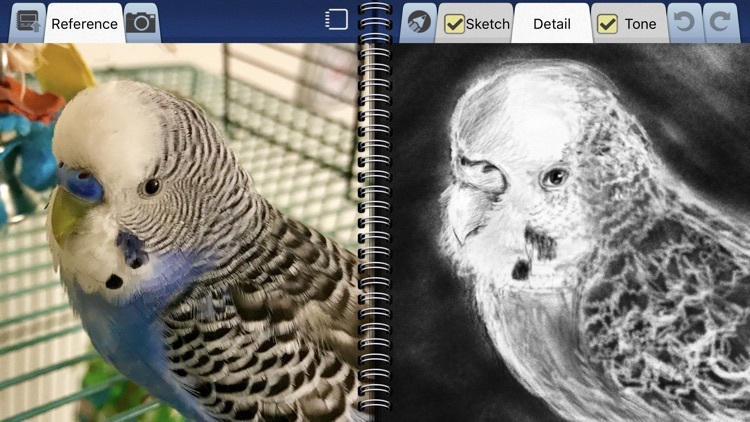 Or sketch on your own with the option to import your own photo reference. 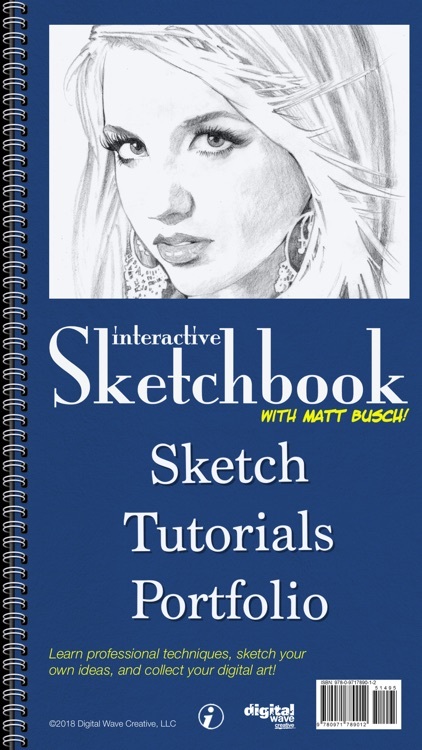 Sketchbooks have always been a way to collect your creative ideas and plan your visual masterpieces. 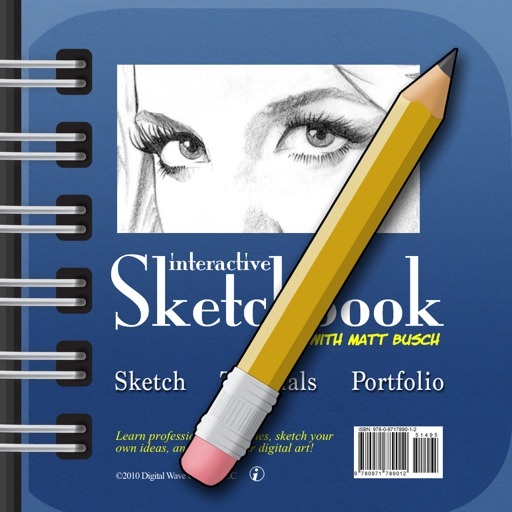 Now with the limitless possibilities of Interactive Sketchbook, you'll never buy another paper sketchbook again! Newly optimized as a universal app for iPhone, iPad, and the iPad Pro. Supports pressure variable drawing strokes via 3d touch, Apple Pencil, and Adonit styluses for the highest quality digital drawing experience. Three custom layers allow you to efficiently switch between the types of tools that are most useful. 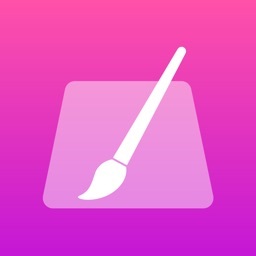 Draw loosely and plan your work in the "Sketch Layer". Enjoy precise control of line and value in the "Detail Layer" to make highlights and intricate details shine. Enjoy a unique "Tone Layer" that makes smooth shading easy and fun! Each layer's visibility can be toggled on and off. 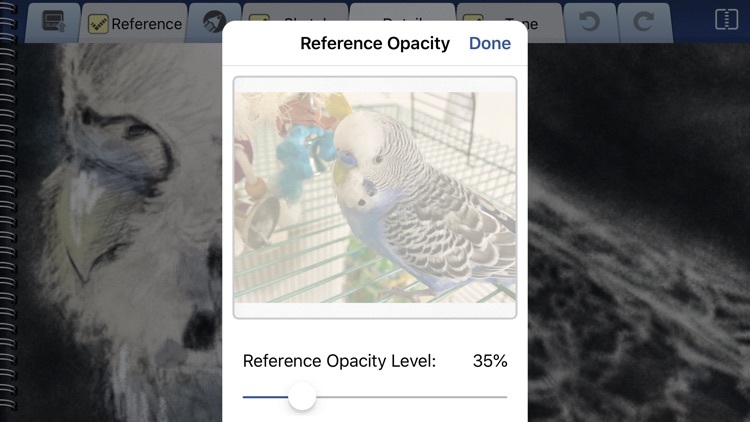 Whether using your own photo or a tutorial, split view allows you to use reference in a unique way, side by side. 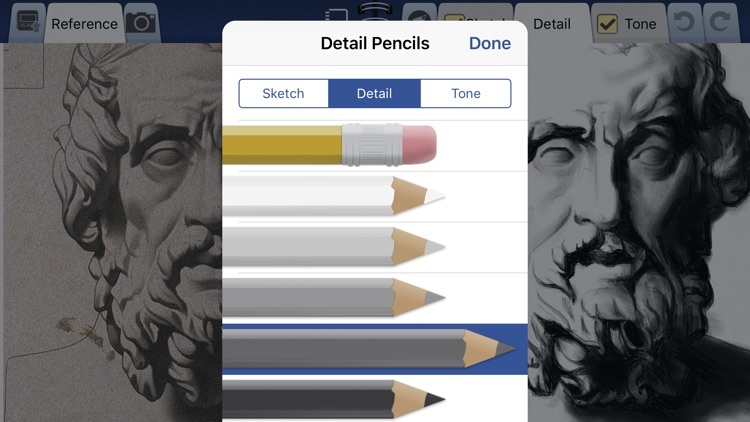 Pinch to zoom in on detail and both the drawing and reference stay perfectly in sync! 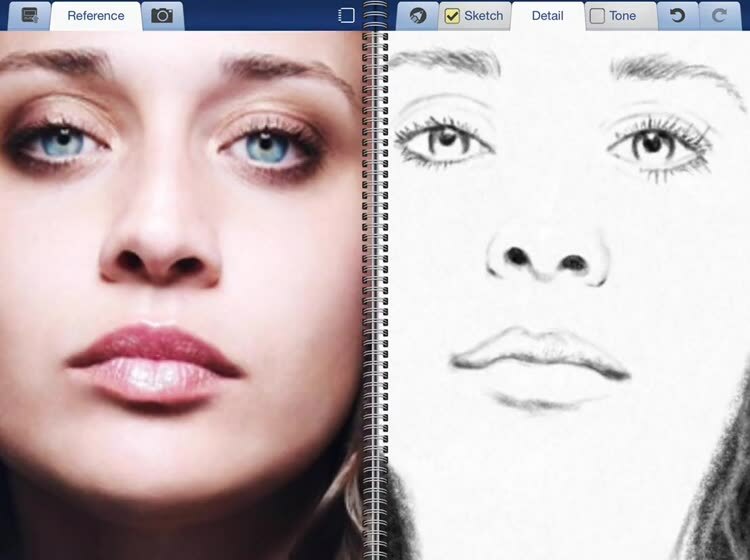 Awesome for artists who want to draw from reference without being forced to trace. 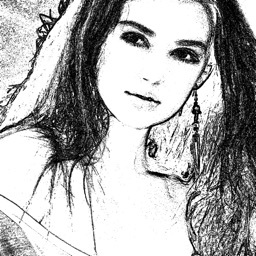 But when you do want to trace. 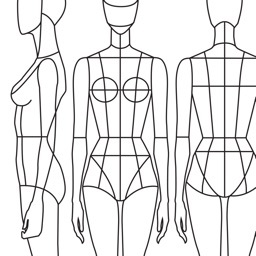 . . swipe the binder over to utilize the full page where you can use your reference as a guide to get proportions picture perfect. Or enjoy full-screen mode with the reference layer toggled off to focus on detail, and maximize the iPad’s work surface. 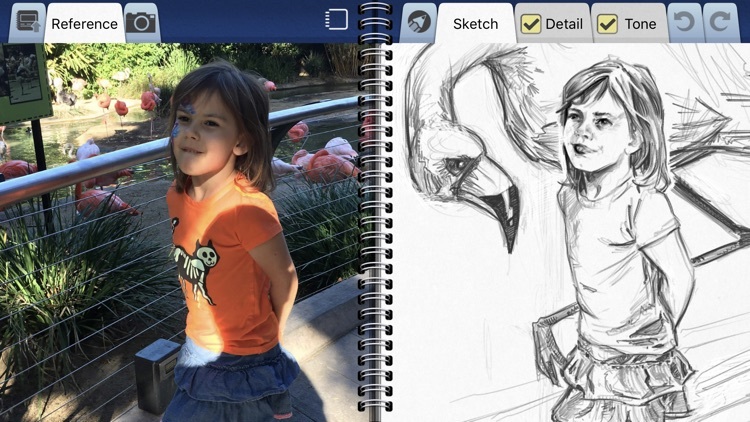 With Interactive Sketchbook, you’ll never run out of pages. 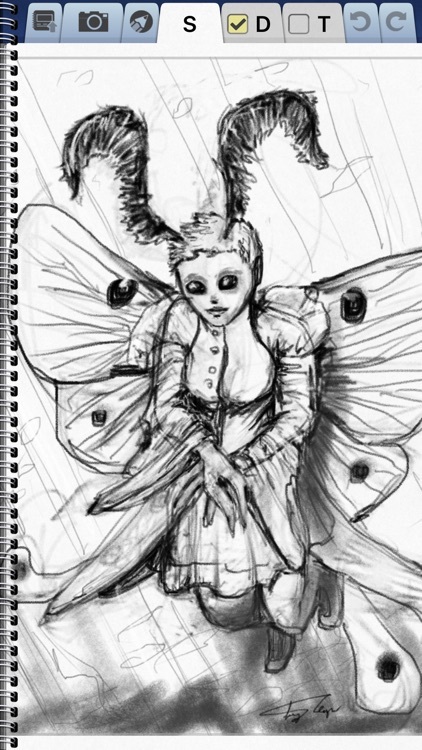 And with an undo and redo function you can explore being more creative without ruining your drawing or wasting paper. Like a tangible paper sketchbook Interactive Sketchbook is portable and always ready when inspiration strikes. Have a professional illustrator as your personal tour guide! Matt Busch has been illustrating some of the hottest properties in movies, books, and comics for 15 years! And now he’s your interactive instructor, sharing his secrets and teaching you the basics of sketching portraits. 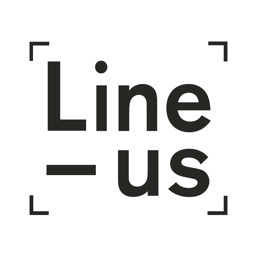 Store, view, edit and resume your drawings in the portfolio. A clean layout and professional presentation allows you to view all your sketches at a glance. Tap a thumbnail to view your latest creations up close. And now, with the new "Animate Sketch" feature, you can watch your drawings redraw themselves step by step! 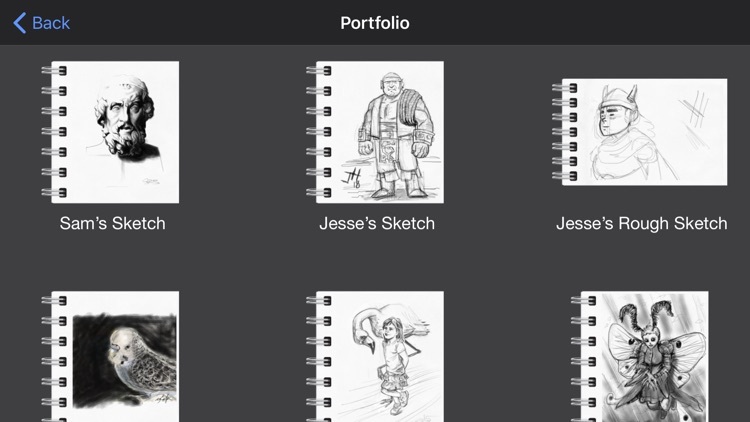 All your sketches are automatically saved and stored in the portfolio. 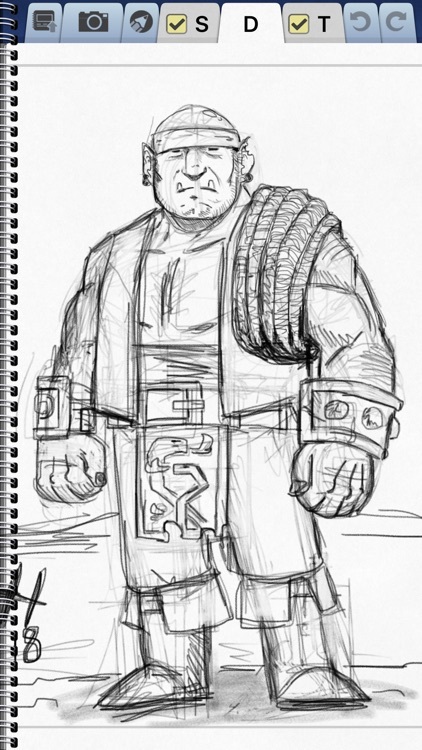 And you can always continue any sketch from where you last left off! 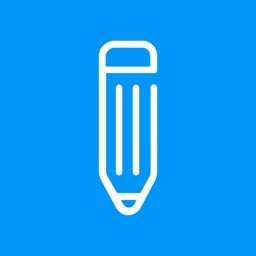 Take your sketching even further by connecting an Apple Pencil, Adobe Ink, Adonit Pixel, Adonit Touch, or Adonit Script stylus. All styluses support palm rejection to prevent stray marks while resting a hand on the screen during drawing. Also enjoy pressure sensitive strokes for better control of your line work and shading. Select Adonit styluses also utilize shortcut buttons for quick access to undo and redo. 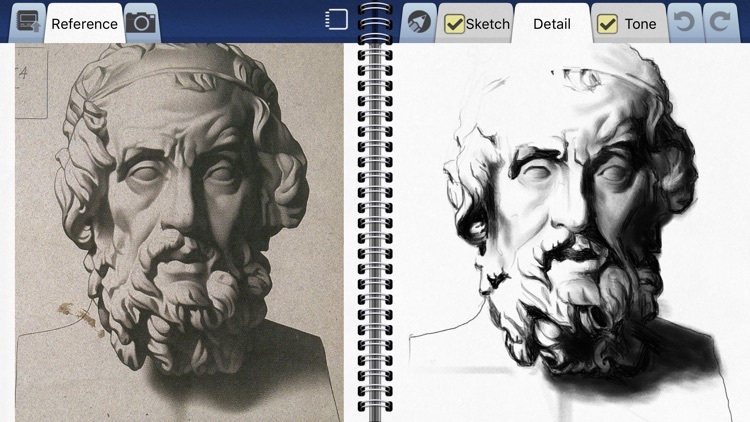 Treat yourself to Interactive Sketchbook now, or surprise a friend and “Gift this App”. 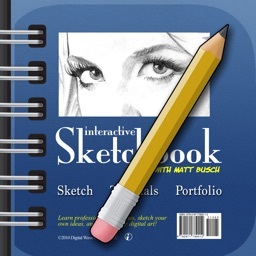 Whether you are an occasional doodler or a professional illustrator, Interactive Sketchbook is a must-have tool for your iPad and iPhone!